One day, Walk Off the Earth appeared in my YouTube recommended video feed and I clicked on it. I generally don’t click on completely unknown items and I generally wind up on YouTube with a specific item in mind. So, all things considered, this was a good surprise. As it so happens, I’ve been thinking lately about the co-opting of popular art by mass marketing forces. At least, I’ve been reading Ellen Willis and she got me thinking about how artists navigate the line between cult popularity and mass recognition. My take (nowhere near wholly original) is that artists often had to enter the world of the working artist and develop a certain degree of popularity through constant touring. I’m talking about the time before mass communication. Even radio managed to hide more than it showed. So, audience and performer generally entered their role with little expectation beyond what they had seen previously in live performance. With television and massive coverage of the daily lives of celebrities, popular artists became aware of the distinction between the public perception of themselves and the reality. I don’t mean to suggest that 19th century theatrical stars believed that the folks waiting at the stage door after the show truly knew them. that film and television (perhaps with the advent of the publicist) gave us the self-aware artist who slowly acknowledged that what you see may only be an act, even offstage. The audience may have caught on with film stars, but it took a while longer with pop stars. Perhaps that’s the nature of a younger set of fans, renewed every generation and headed for that first disillusionment. Bob Dylan balked at his public persona. Other artists equally chafed at the mask thrust upon them. Maybe it was Madonna who was the first pop star to clue into the dichotomy prior to becoming a star as she seemed to arrive with a well-crafted presentation. And so we arrived at what seems the norm nowadays where pop stars are designed prior to unveiling. Everything from their music to their appearance is built for widespread consumption. I know the Beatles and the Stones were made to wear suits. All the other bands that broke big also had their costumes, but those outfits felt like they fell into two camps: manic or business appropriate. Essentially, the question was whether or not they were trying to make you comfortable or trying to freak you out. Ultimately, that left the art to lure in the audience, not a faux personality. Which leads to YouTube, where we require a personality ready for old-time MTV, saying something modern, and showing us something that we haven’t seen before. 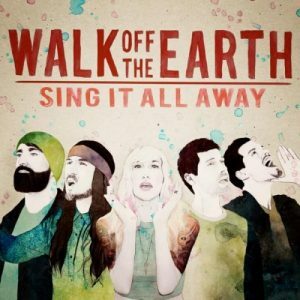 This song that I like by Walk Off the Earth is a cover tune. In addition, it is not on any of their releases. It is purely a figment of YouTube, but what I especially like about it is that it feels like a creation wholly of the artists. These people have been making some serious videos for a while now. You don’t do that without all the brain cells firing and managing your path yourself. You’ve Got to Check This Out is a blog series about music, words, and all sorts of artistic matters. It started with an explanation. 50 more to go.